Research has shown that learner experience is greatly improved when they are given the opportunity to move outside of their comfort zone through stretching and challenging what they know. Natspec promotes competition as a highly effective tool to measure, develop and recognise achievement and excellence. Competitions are a great way for all to show off their work skills and growing independence. Skills competitions are well established in mainstream Further Education and a few years ago Natspec, Derwen College and (what was then) North Warwickshire and Hinkley College, recognised there was no opportunity for people with learning difficulties and disabilities to take part and enjoy. Working together, a series of competitions was established: the Inclusive Skills Competitions. The competitions offer stretch and challenge and they build links between colleges, training providers and local and national businesses to showcase the skills of young people with learning difficulties and disabilities. These days the competitions are open to people of all ages who are working up to level 1 and are in or have recently been in education. WorldSkills UK are now part funding the competitions, and for the past three years Inclusive Skills have featured at the Skills Show. Natspec is leading the initiative and, together with other further education colleagues and WorldSkills UK, we have a fully branded suite of WorldSkills UK Inclusive Skills competitions this year. “Working in partnership with Natspec is part of our commitment to ensure that as many learners as possible have access to competition activity,” says Dr Neil Bentley, from WorldSkills UK. Registration for the 2018 heats is now closed, however, here are the competition information documents that give you a good overview of the type of tasks included in the competition offer and maybe you can get involved next year. 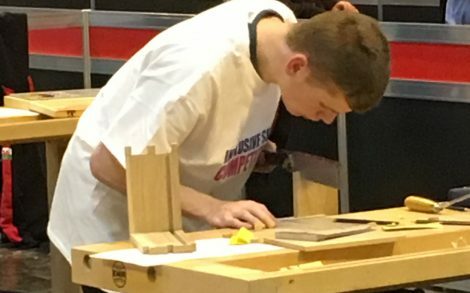 Please join us for the National finals of the Inclusive Skills Competitions at WorldSkills UK Live (formerly The Skills Show) at the NEC Birmingham on Saturday 17th November 2018. If you want to get involved or find out more please contact Louise Keevil. Inclusive Skills Competitions are an exciting and fun way to show off the skills you have learnt at college, by taking part in fully supported competitions.